In February of 1942 Torrington Community Chest was developed as a result of a Chamber of Commerce meeting which was looking to consolidate local fundraising efforts. In 1943 the Campaign goal was $177,000 and was designed to help seven local agencies - Boy Scouts, Cancer Control, Diocesan Bureau, Girl Scouts, News From Home, Salvation Army, and the YMCA. In addition funds were also given to the National War Fund, which was comprised of the USO, Seamen’s Relief, Prisoners’ Aid and Allied Relief Services. The Community Chest continued to grow and by the time of the 25th anniversary in 1967, there were 13 local agencies. In 1974 the name was changed to United Way of Torrington. 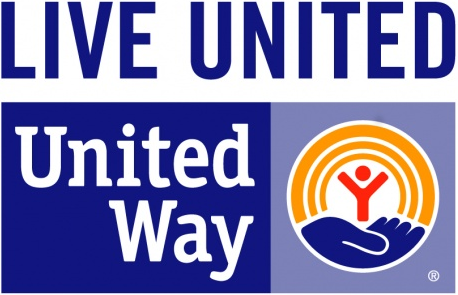 Then on June 9, 1999, The United Way of the Torrington Area merged with the United Way of Northwest Connecticut in Winsted, which had incorporated its own Community Chest in 1964. The Winsted Community Chest served the towns of Barkhamsted, Colebrook, West Hartland, Winchester, New Hartford and Norfolk. They operated out of rooms in the Rumrill House next to the old Gilbert School. The Winsted Community Chest’s first campaign raised $60,707, which was distributed to the 11 agencies they served - Boy Scouts, Girl Scouts, Children’s Services, Diocesan Bureau, Housatonic Psychiatric Center, Litchfield County Hospital, New Hartford Visiting Nurse Association, the Salvation Army, Winsted Visiting Nurse Association, USO, and the YMCA. The merging of the United Way of the Torrington Area and United Way of Northwest Connecticut was done to create a stronger organization that would be able to make it easier for agencies served by both United Ways, to apply for funding, and to consolidate and improve assistance to the member agencies. As a result of the merger, the Winsted entity was dissolved but the newly-merged organization kept the name United Way of Northwest Connecticut. Today the United Way serves 25 towns in Northwest Connecticut with a total population of approximately 92,000 people. The United Way is committed to seek ways to improve service to the community and since 1943 has raised over $27 million.